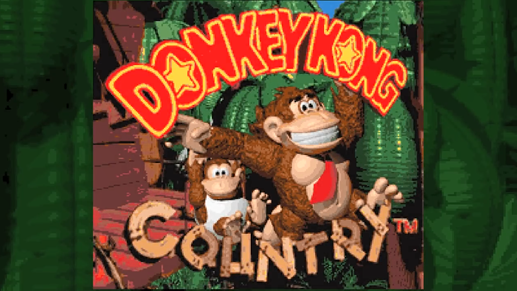 Here’s What Donkey Kong Country Could Look Like With DK’s Old Design! As you likely know, Donkey Kong Country on SNES redesigned the characters quite a bit compared to their arcade counterparts. Indeed, not only did Rare’s new DK look far more animalistic than his original equivalent, but his sidekick Diddy Kong went from being Donkey Kong Jr to an all new character in his own right. It was a risky move for the company, but it paid off and created some extremely memorable designs that have stayed with us ever since. Yet what if it didn’t happen? What would Donkey Kong Country look like with the arcade style Donkey Kong and Jr in the lead roles? How would things have differed if Miyamoto was as strict towards Rare with DK as he was towards Sticker Star era Paper Mario developers? Yeah, it’s certainly something isn’t it? Seeing Donkey Kong looking like the gormless ape from the arcade title or Diddy Kong as Jr is a different experience to say the least. But the thing is, it’s not really a pleasant one. Why? Because put simply, the original character appearances just don’t work for this sort of game. Everything from DK’s goofy grin to the walk animations and stylings just look off. That’s not the fault of the video creator (who did a damn good job at making these models and seamlessly splicing them into game footage), but in general the style just doesn’t work. DK and Diddy just look and work 100 times better in the style used in the actual game. Still, what do you think about it? Are you impressed by this animation and the models used? What do you think about the idea of Donkey Kong Country in this style? Have your say in the comments below or on social media today! Donkey Kong Country Tropical Freeze; Lots More Screens and Info!